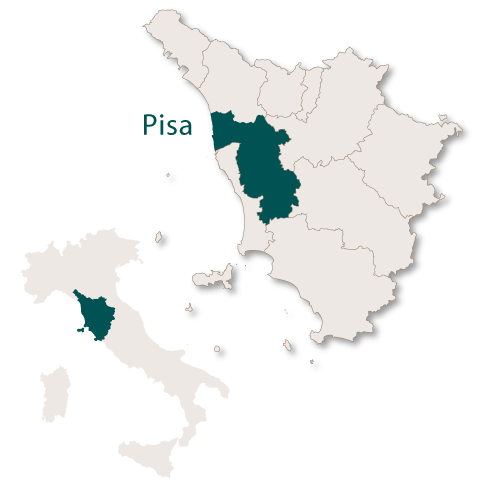 The province of Pisa cover 2,448 sq.km and is the second most populated province in Tuscany. 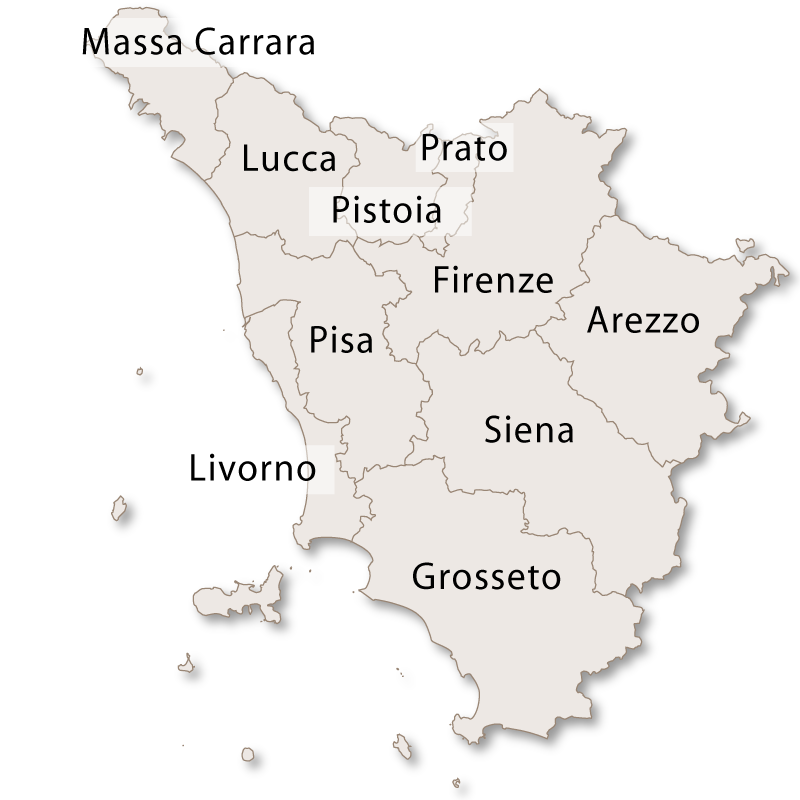 It is bordered to the north by the Province of Lucca, to the east by the provinces of Florence and Siena, to the south by the province of Grosseto and to the west by the province of Livorno and the Ligurian sea. 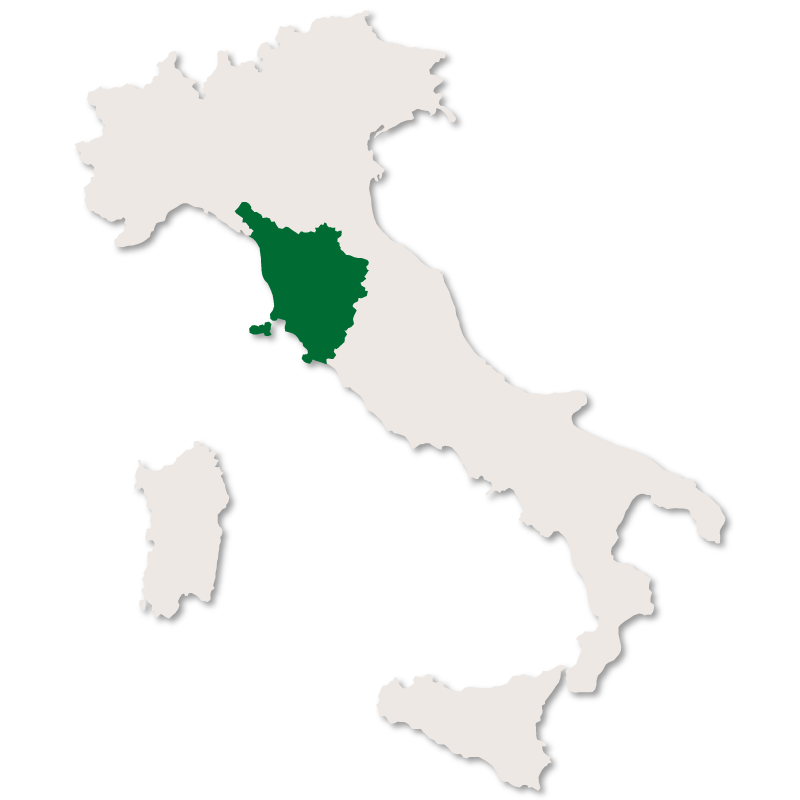 The northern portion of this province is mountainous with the highest peak being Monte Serra at 917 metres. 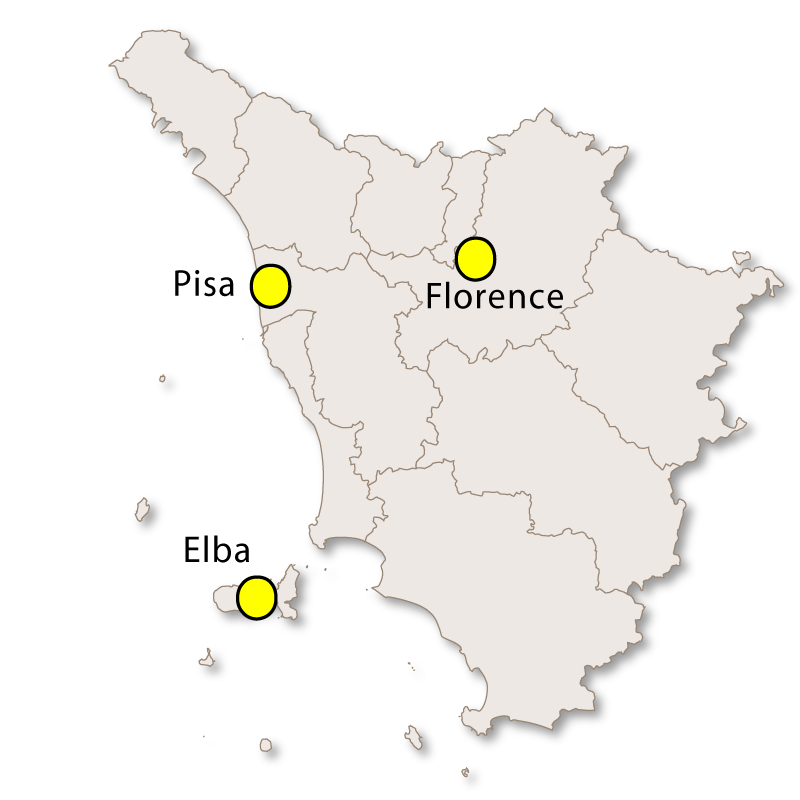 The province of Pisa has around 15 kilometres of coastline which is flat, along with the areas immediately behind the coast. 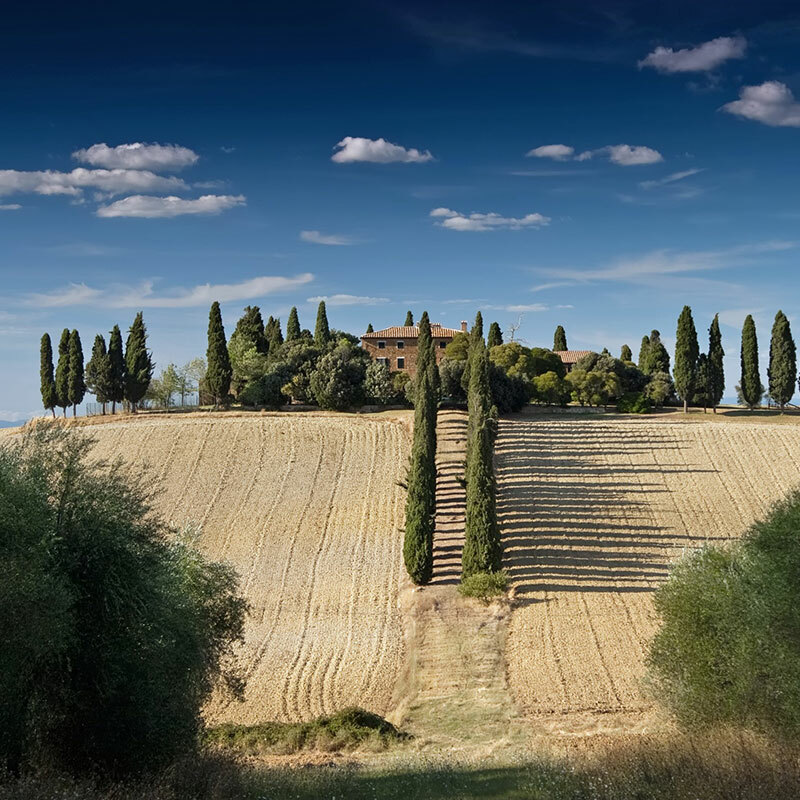 The southern part of the province turns into the rolling hills, green forests and hilltop villages that are the picture postcard images of Tuscany. Lying on the right bank of the mouth of the River Arno, Pisa is the capital city of the province of Pisa in the region of Tuscany. 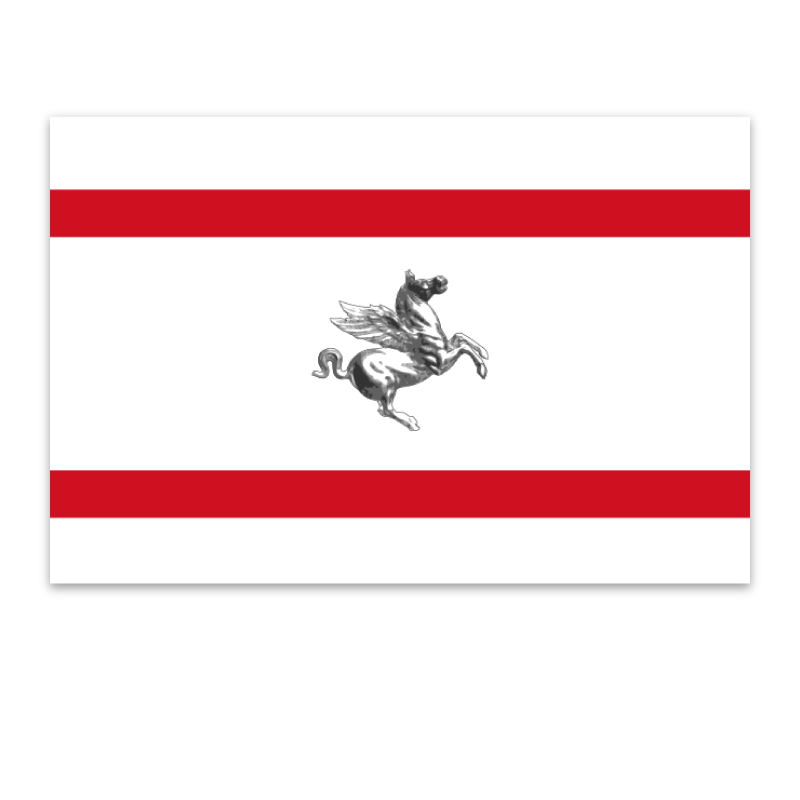 It is a coastal town with shores running along the Tyrrhenian sea. 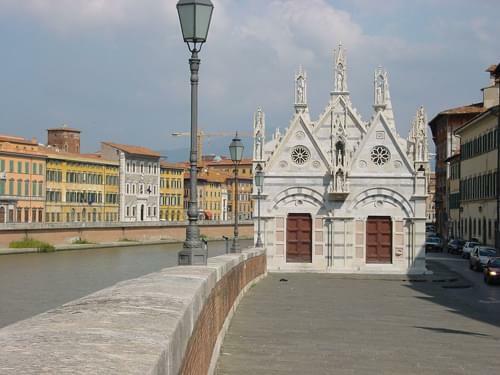 It is a university city with the excellent University of Pisa having been established since the 12th century. 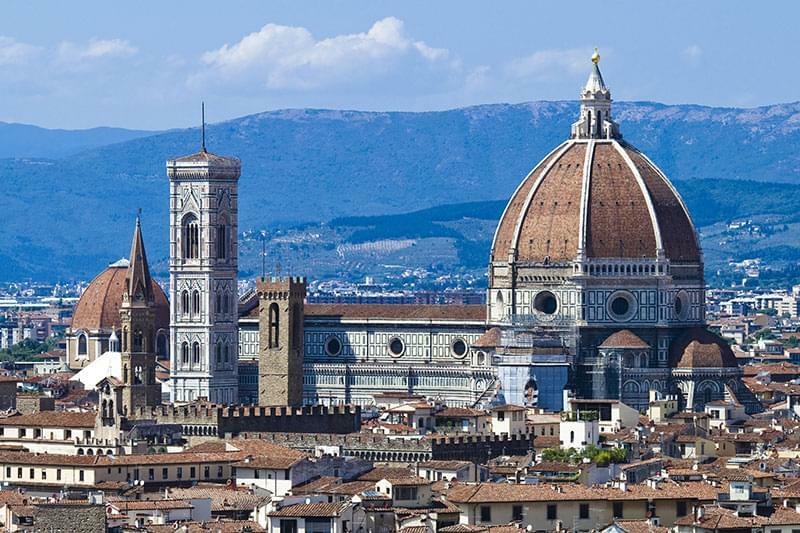 It also has two of the best Superior Graduate Schools (higher education at university level) in Italy, Napoleonic Scuola Normale Superiore di Pisa and Sant'Anna School of Advanced Studies. Palazzo dei Cavalieri, which can be found in Piazza dei Cavalieri ,has an impressive façade. Church of Santo Stefano dei Cavalieri, also on Piazza dei Cavalieri, houses a bust by Donatello. The Church of St. Sixtus is a small church which was consecrated in 1133 and is one of the best preserved early Romanesque buildings in area. Santa Maria della Spina is a small, white marble church situated at the edge of the Arno river. It is an excellent example of Gothic architecture and is believed to have been constructed during the early part of the 13th century. Church of San Nicola, built at the end of the 11th century and was enlarged in the late 13th century by the Augustinians. Church of St. Francis, built at the end of the 13th century. Church of San Frediano, built in the 11th century. The church of San Paolo a Ripa d'Arno was erected around the year 952 and later enlarged in the middle of the 12th century. Palazzo Medici which once belonged to the Appiano family,but was acquired by the Medici family in 1400. Palazzo Reale, or Royal Palace which was constructed in 1559 and later enlarged. 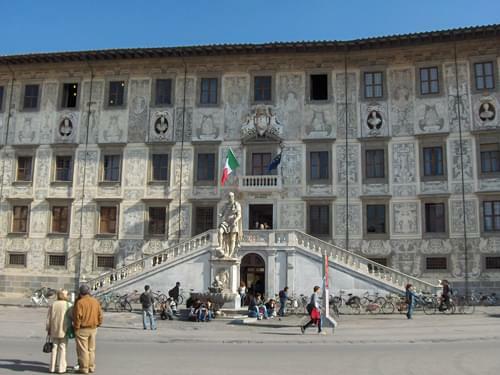 Palazzo Gambacorti is a 14th century Gothic structure which is the municiple offices. Inside there are some interesting frescoes depicted the many sea victories of the city of Piza. Orto Botanico di Pisa belongs to and is maintained by the University of Pisa and is the oldest university botanical garden in Europe. Cantiere delle Navi di Pisa which is set in the Ancient Ships Archaeological Area and can be visted by guided tours only. Museo Nazionale degli Strumenti per il Calcolo which has a collection of scientific instruments, including a compass which belonged to Galileo Galilei. Museo Nazionale di San Matte. Museo Nazionale di Palazzo Reale. 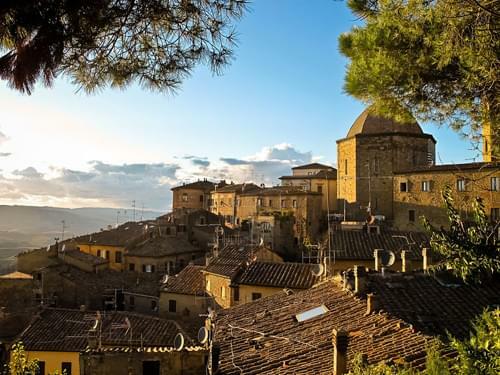 Volterra is an impressive, walled medieval town and was once a very important Estruscan city and trading centre. 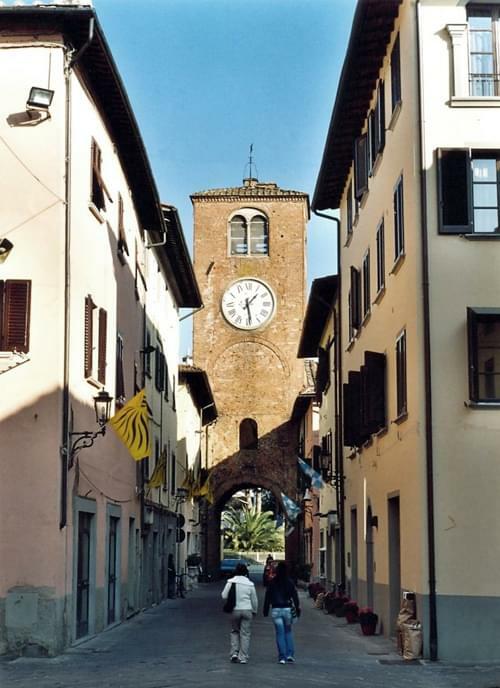 The walls of the town are well preserved, including two of the original gates, Porta Diana and the impressive Porta dell'Arco which dates back to the 3rd and 2nd centuries BC. 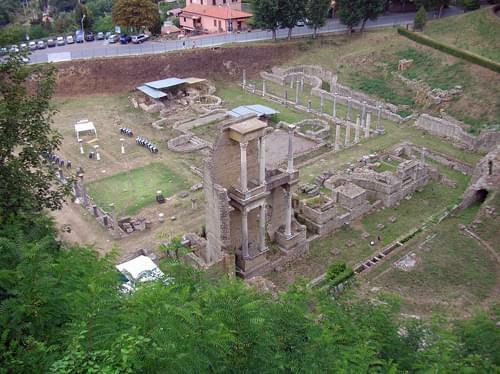 The Roman Theatre dating back to the 1st century BC and excavated during the 1950s. Volterra Cathedral is built in the Romanesque style with a rectangular bell tower to one side. Palazzo dei Priori, constructed in the early 13th century. 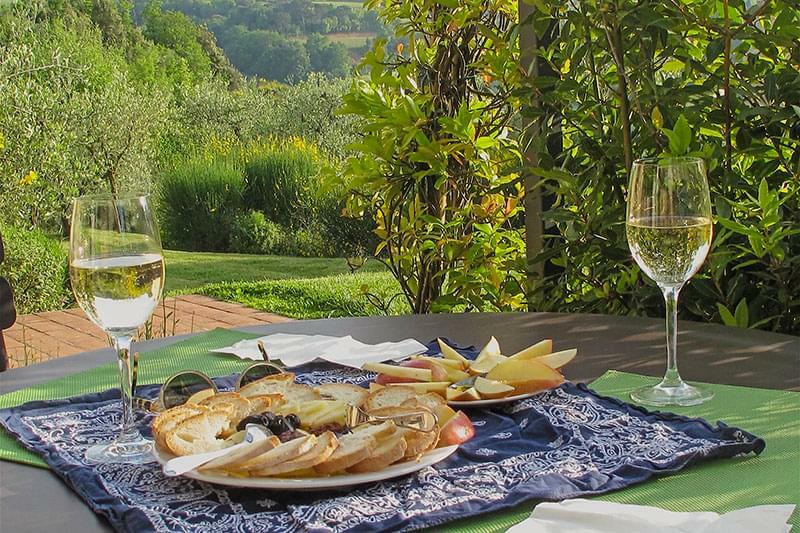 Surrounded by beautiful Tuscan rolling hills this is an ancient town which is mentioned in documents dating back to the year 891. The Castle, of which there is little left, is right in the centre of the town and was constructed before the year 1000. The Belltower which once belonged to the castle and in 1790 the inhabitants of the castle had a clock installed into the belltower. Oratory of St. Sebastian which was built in 1520 and later became a hospital for the poor. Church of St. Leonard, close to the Oratory of St. Sebastian, was built in 1275 and enlarged in the 19th century. 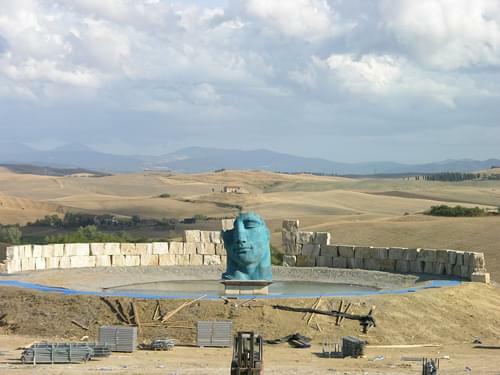 Teatro del Silenzio is a naturally formed theatre in the hills around Lajatico which stays silent all year round except for July when Andrea Bocelli, patron of the theatre, performs there. Municipal Theatre created in the 19th century. 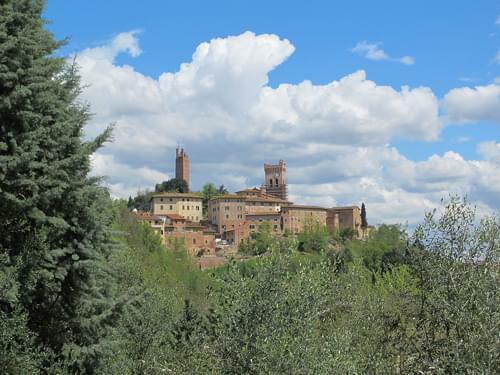 Sitting in a prominent position on top of a hill, San Miniato is a well preserved medieval village and a good tourist destination. There is a road, called Via Angelica, which is actually a tunnel running from the centre of the village and leading to the surrounding countryside. Chiesa di San Francesco which was built in the early 13th century. Chiesa di San Domenico, originally constructed in the 14th century. 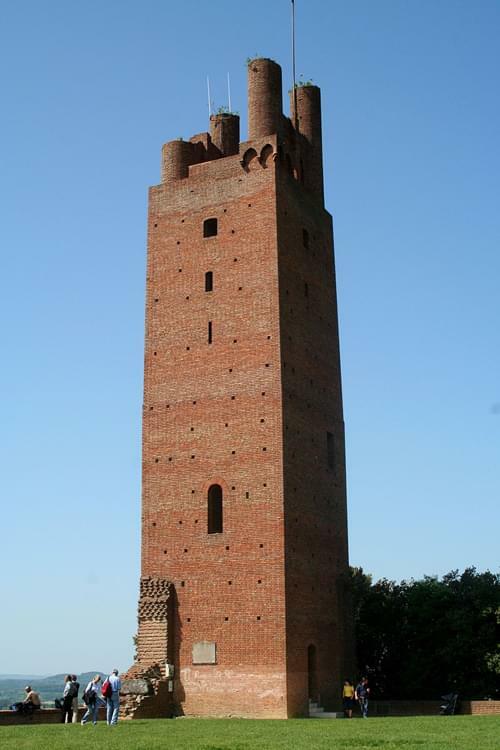 Rocca di Federico II is a 13th century castle, in the shape of a tower, which stands on top on toop of the hill overlooking the village. Palazzo dei Vicari, built during the 12th century and containing some interesting frescoes inside. It is now a hotel. Palazzo Comunale or Town Hall was built in the 14th century and is still used as the Town Hall today. An ancient medieval village which has been well preserved.